The Phils lose the second game of their doubleheader, as they fall to the Nats, 3-0. The Nats took the lead in the second as, with one man out, Danny Espinosa hits a solo home run, his twentieth home run of the year, giving the Nationals a 1-0 lead. The Nats took a 2-0 lead in the sixth as, with two men on, and with two men out, Ross Detwiler helped his own cause with an RBI single, scoring Espinsoa, who had earlier singled, then stopped at second base on Wilson Ramos’ single, while Ramos, who had earlier singled, would stop at third on the late throw to the plate. The Nats then made it a 3-0 lead in the seventh as, with runners on the corners, and with one man out, Jayson Werth, who had earlier doubled, then stopped at third on Michael Morse’s single, would score as Carlos Ruiz’s pick-off throw hits him and gets away from third baseman Placido Polanco, allowing him to score, while Morse would move up to second base. That would end up being the final score as Drew Storen picked up his fortieth save of the year by pitching a 1-2-3 ninth. Cliff Lee (16-8, 2.38) took the lost as he went seven innings, giving up three runs, only two of which were earned, on eleven hits, while he struck out nine. Justin De Fratus and David Herndon combined for two scoreless innings, giving up just a walk (Herndon), while striking out two (Herndon) between them. Ross Detwiler (3-5, 3.30) got the win as he pitched seven and one-third innings, giving up just three hits and one walk, while striking out three. Henry Rodriguez collected his ninth hold of the year as he pitched two-thirds of an inning, getting out both men that he would face, striking out one. Drew Storen received his fortieth save of the year, as he pitched a 1-2-3 inning, striking out two. The Phils had just three hits in the ballgame, all singles, with Ben Francisco leading the team with two hits, while Placido Polanco had the other one. With this game, the team has hit a low point during this present period of getting few hits and scoring fewer runs. Seriously guys, this is not the way to build momentum going into the playoffs. Quit fooling around, or else you won’t get past the first round. Start playing up to your game, and cream the Nats for the next couple of games. The Phils (98-56, 1st) will continue their series with the Nats (74-79, 3rd) with a night game tonight. The game will be played at Citizens Bank Park and will start at 7:05 pm EDT. The Phils will send to the mound Vance Worley (11-2, 2.85), who is coming off a no-decision against the Cardinals on September 16, as he pitched six innings, giving up a run on six hits and three walks, while striking out five, in the Phils’ 4-2 extra-innings lost. He will be seeing if he can help end the Phils’ present four game losing streak. The Nats will counter with John Lannan (9-13, 3.68), who is coming off a lost to the Marlins on September 16, as he went six innings, giving up three runs on eight hits and three walks, while he struck out one, in the Nats’ 3-0 lost. He will be trying to give the Phils their first five game losing streak. The Phils will be out to put an end to their present slide and try to start building some momentum for the playoff. 33 games in 31 days: Game #24: The Phils drop their third game in a row as they lose to the Nats in extra-innings, 4-3. The Phils lackluster offense continues as they lose their third game in a row, this time to the Nats, in extra-innings, 4-3. The game starts out as a six innings pitchers’ duel between Phils’ starter Kyle Kendrick, who gives up just four hits, while striking out four, and Nats’ starter Tom Milone against the Phils C-team line-up, who also gave up only four hits, while striking out two. The Nats took the lead in the seventh as, with two men on, and with two men out, Roger Bernadina hits a three-run home run, his seventh home run on the season, scoring Alex Cora, who had earlier singled, then went to second base on Ian Desmond’s grounder, as Steve Lombardozzi, who had earlier singled, then stopped at third on Cora’s single, is tagged out at home plate, tw0-unassisted, for the inning’s second out, giving the Nats a 3-0 lead. The Phils would tie the game up at three-all in their half of the seventh as, with two men on, and with nobody out, pinch hitter Raul Ibanez hits a three-run home run, his twentieth home run of the year, knocking in Pete Orr and Michael Martinez, who had both singled, with Orr stopping at second base on Martinez’s single. The Nats retook the lead in the tenth as, with two men on, and with two men out, pinch hitter Ryan Zimmerman hits an RBI single, scoring Michael Morse, who had earlier walked, then moved up to second base on a Erik Kratz’s passed ball, giving the Nats a 4-3 lead, while sending Danny Espinosa, who had earlier been intentionally walked, on the third base, before moving up to second base on the late throw to the plate. That would be the final score as Drew Storen would collect his thirty-ninth save by pitching a scoreless tenth. Kyle Kendrick received a no-decision, as he pitched six shutout innings, giving up four hits, while striking out four. Michael Schwimer pitched an inning, giving up three runs on three hits, while striking out two. Joe Savery made his major league debut as he pitched a third of an inning, giving up a hit. Brad Lidge pitched two-thirds of an inning, striking out a batter. Ryan Madson pitched a scoreless inning, giving up a hit, while striking out one. Michael Stutes (6-2, 3.86) took the lost as he pitched an inning, giving up a run on a hit and two walks. Tom Milone also received a no-decision, as he also pitched six shutout inning, giving up just four hits, while striking out two. Doug Slaton pitched to two batters, with both men reaching base, as he gave up two runs on two hits. Tyler Clippard committed his seven blown save of the year as he pitched an inning, giving up a run on two hits and a walk, while he struck out a batter. Sean Burnett pitched a scoreless inning, giving up a walk. Tom Gorzelanny (4-6, 4.09) got the win as he pitched a scoreless inning, giving up a hit and a walk. Drew Storen collected his thirty-ninth save of the season as he pitch a scoreless inning, giving up a hit and a walk, while striking out one. The Phils had ten hits in the ballgame, with John Mayberry, Jr. and Hunter Pence leading the team with two hits each, all singles. Wilson Valdez (Single), Erik Kratz (Double), Pete Orr (Single), Michael Martinez (Single), pinch hitter Raul Ibanez (Home Run, 3 RBIs) and pinch hitter Placido Polanco (Single), had the other six Phils’ hits, as the offense continue to struggle stringing together hits and scoring runs. The Phils (98-55, 1st) will continue their doubleheader with the Nationals (73-79, 3rd), with a night game. The game will be played at Citizens Bank Park and will start at 7:05 pm EDT. The Phils will send to the mound Cliff Lee (16-7, 2.38), who is coming off a no-decision against the Marlins on September 15, as he went nine innings, giving up a run on five hits, while striking out twelve, in the Phils’ 2-1 extra-inning win. He will once again go for win no. seventeen, while trying to put a stop to the Phils’ present slide. The Nats plan to counter with Ross Detwiler (2-5, 4.42), who is coming off a no-decision against Mets on September 12, as he pitched five and two-thirds innings, giving up two runs on three hits and three walks, while striking out two, in the Nats’ 3-2 win. He will be trying to give the Nats a sweep, while hoping the Phils don’t decide to wake up from their offensive sleepwalking and take it out on him. 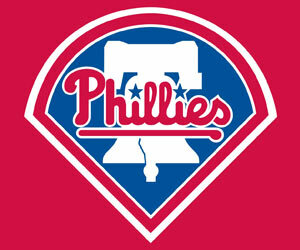 The Phils will be out to end their present offensive ineptitude.